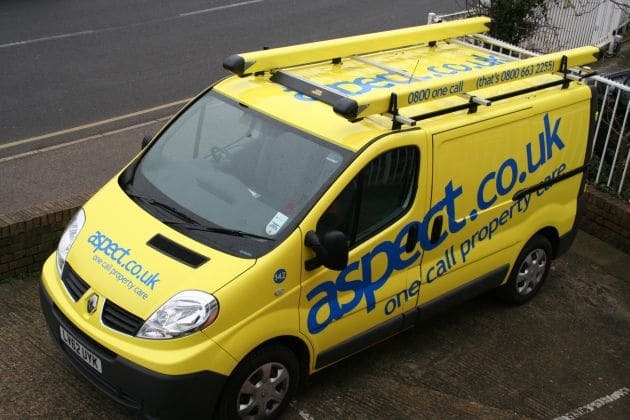 Aspect.co.uk is a leading property maintenance and refurbishment company, operating across the domestic and commercial sectors – 24 hours per day. Its vision: to be the UK’s leading property maintenance and refurbishment business, by building strong and successful client relationships. 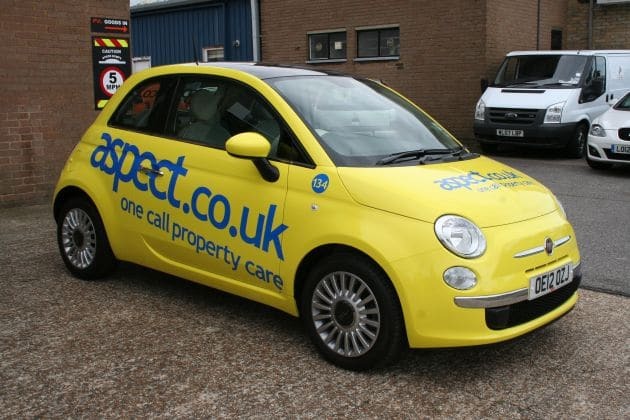 Aspect were looking for a company to take on the wrapping of their fleet of over 100 vehicles. The main thing they were looking for was a high quality job from a reliable business that they could build a long term working relationship with. The company they had been working with previously had let them down a few times with speed of turnaround and they felt that they could no longer rely on them to deliver on time and to the standard required.